As often happens, one good idea begets another. When Barnes & Noble College debuted FacultyEnlight, an innovative digital toolkit that enhances the faculty textbook adoption experience, it sparked a dialogue with a key group of important customers. 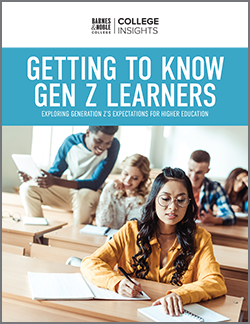 Some of the most pressing issues facing higher education today affect college faculty, from choices on the adoption of technology and LMS to new learning techniques and decisions on course and syllabus materials. The changing landscape of the lecture room is not a development lost on Barnes & Noble College, and, with the input of over 1,100 faculty members and students that powered the launch of FacultyEnlight, came the determination to build a stronger dialogue with faculty members. And what better time to start that relationship than Valentine’s Day? 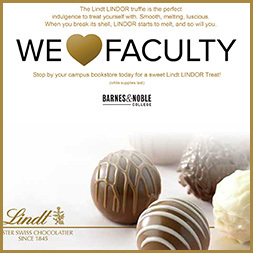 ‘We Heart Faculty’ email promotion sent to faculty members of Barnes & Noble College bookstores. Under the banner of Igniting the Faculty Connection, Barnes & Noble College has created a series of engaging communications designed to help faculty and enable a better understanding of the support and solutions that the campus bookstore can provide. “We want to start building that relationship with the gift of chocolate,” explains Nicole Guerrieri, Director of Digital Education for Barnes & Noble College. This Valentine’s Day, registered users of FacultyEnlight will receive an email promotion designed to introduce some of those initiatives, and invite them to take a little time out at their campus bookstore. “The promotion is really our way of saying how much we appreciate faculty and to invite them to visit the bookstore to redeem their email for chocolate,” Guerrieri says. What those needs are, and how Barnes & Noble College might be more involved in supporting them, is the goal of another faculty-oriented initiative launching this week. “When we launched FacultyEnlight, a number of faculty expressed interest in becoming part of a process where they could give feedback on the products and services the bookstore provides,” Guerrieri explains. Faculty members will be asked to join that process this week with an invitation to join What’s Next, an e-POV facilitated online community, with the opportunity to share what’s on their mind, what issues take up their time, and their general views on the bookstore. “We’ll invite them to participate on different topics, perhaps three or four times a year, on everything from course material choices to digital initiatives,” she says. What might start with chocolate, Guerrieri hopes, will lead to a much more lasting dialogue. 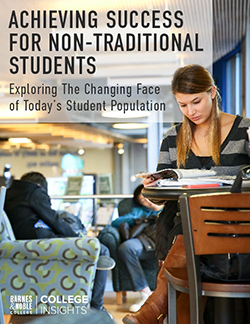 “In the changing environment that higher education currently faces, it’s really important to understand the needs of all the constituents on campus, and faculty are an important, influential and sometimes overlooked part of that.” It’s a process that is likely to extend far beyond the process of textbook adoptions, and not just for Valentine’s Day, but in a year-round aspiration to build a truly lasting relationship.